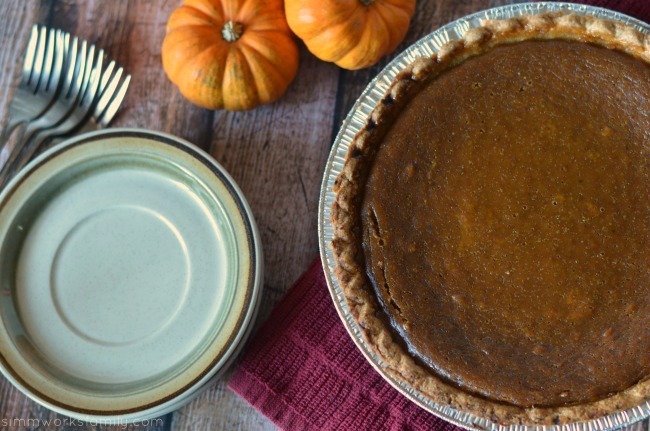 Pumpkin Pie with Coconut Milk - Out of Evaporated Milk? 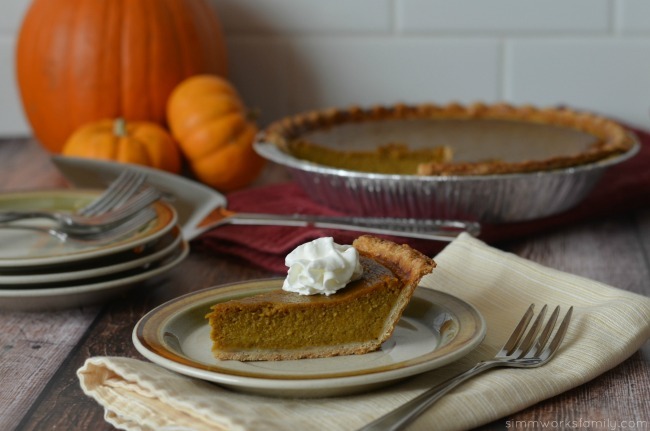 We love pumpkin pie! I’m intrigued now to try it with coconut milk. Thanks for sharing the recipe! This looks really good. 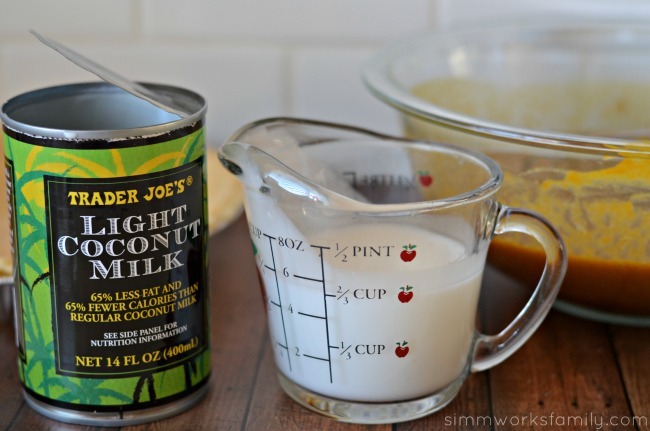 Love that you incorporated one of our family’s favorite ingredients, coconut milk. I love pecan pie the best. I am CRAVING Pumpkin Pie now! Love the idea of coconut milk. Do you get a hint of coconut? oh, yum!! dairy free pumpkin pie??? My son thanks you!!! 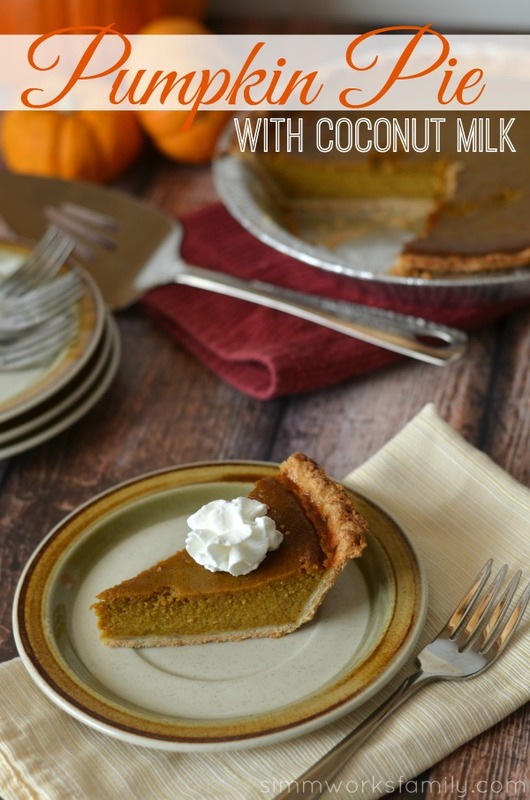 I think if there was a way to make pumpkin pie even more delicious, you have found it with using coconut milk. YUM! How much pumpkin puree??? Looks delicious! Sorry! 2 cups. I forgot to go back and double check the packaging. If you have canned pumpkin (love the organic stuff from Trader Joe’s) you can use one 15 ounce can. I used the Pacific Foods organic pumpkin puree in the Tetra Pac that’s 16 ounces. That extra ounce is fine! i’d like to try it with coconut milk. sounds great! You know when you first open the can of coconut milk, and there’s that creamy stuff on top? Mmmmmm! And now with pumpkin… Gotta try your recipe!